It is foggy here. During most summer months, it is foggy here. 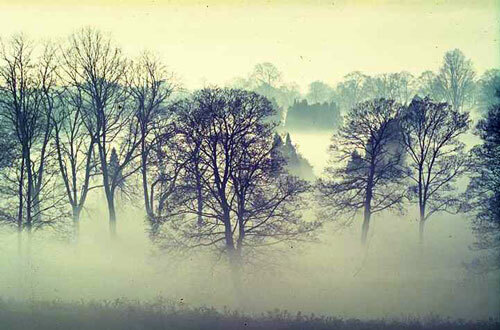 I used to like the fog. I thought the fog helped me think. About the fog and about life in general. Now, however, at this latest, dreary stage of my life, I am tired of the fog. The fog still helps me think, but I hate thinking. About the fog, or about life in general. Today I read about Christopher Hitchens and his upcoming death. I can’t say that I feel sorry for the man, because although our diagnoses differ, we are both bound for the great hereafter, which is meant to say that both of us will soon become dust. I want to say, however, that I wish I owned Christopher Hitchens’ intellect. Although come to think of it, what good is intellect when it turns to dust? Maybe that’s just the fog talking. Oh, and yes, I don’t want to forget to say that I loved reading Christopher Hitchens’ book, god is not Great. During his lifetime, Hitchens presented himself (see how easy it is to slip into the past tense when speaking of the almost dead?). What was I saying just now? Yes, Christopher Hitchens presented himself as a well-reasoned atheist. I’m sure that many people watching the man die are waiting for a last-minute conversion to religion of whatever flavor, but I think they might just as well hold their collective breath, although not for too long, because then they might die before Christopher has his chance. Someone recently asked me how I defined god. I can’t define god. What a silly question coming from a person who claims to believe in the ineffable. Many putative Progressives condemn Christopher Hitchens for his support of the USA’s war with Iraq. I hate thinking about people, guilty and innocent alike, dying bloody deaths, but I don’t give a damn about Christopher Hitchens’ political views. Especially not now. Hell, I even felt some sympathy for Richard Nixon when he died a prolonged and emotionally agonizing death; and Nixon was an evil man. And I despise the group who name themselves Progressives, as if to say that all the rest regress. I love using all these “ly” adverbs. When one grows old enough to see the grim grave digger dressed in cloaks, one may enjoy defying all the experts who rob the plebes of Sherwood Forest by charging them for dumb advice. Pick up a book at random. Go ahead, right off the electronic shelves of amazon.com. Now open the book to a random page and count the “ly” adverbs. If none exists, then the author was too busy trying to follow advice, and as a consequence his story just might bore you to death. Boredom, I imagine, is a far less painful death than most. And I like spelling gray, gr*a*y and theatre, theat*re*. The English aristocracy owned far more class than the New England boiled beef and potatoes crowd of Massachusetts through Maine. A friend a few days ago used the term “mere artistry” as he attempted to analyze a book he fancies, a book that I found crafted in much the same way that the wolf crafted his plot to divest Red Riding Hood of her innocence and virtue. Still, I say go ahead and enjoy the book, good friend. Be sure to count the “ly” adverbs as you analyze. And please, stop throwing away your own work, mere artistry or otherwise. Waste is a disgusting habit. I’m sure that god must agree with me inside one or another of all the extant holy books. Get a grip. I am not an atheist. What I am and am not is of no consequence, and no theatre marquee will ever support my name, certainly not in time to win this mortal race. I am not an atheist, but I don’t believe in god. When I was a young man who could expect to live for a reasonable span of years, that statement sounded hopeful to some, arrogant to others, and sinful to the guilt-ridden and fearful among us. Nowadays, I want to admit that I never was hopeful, but I always was arrogant and sinful, although not in any religious sense. But where did I lose my locomotive? I was talking about the fog. I don’t have a garden. I can’t handle a spade any better than a hammer; and a kind neighbor once told me that I swing a hammer like a woman. He was right. So my garden isn’t this year, or during any other, bearing fruit. Sometimes I travel to one of the local farmers markets, but I usually find the crowds at these events to be tedious, rude and snooty. When one of these frightful citizens cuts you off in line in front of one of the hothouse tomato stands — most often a bearded hippie past his prime and then some, or a wide-hipped one-time beauty queen — you’re supposed to grant the person passage along with a toothy smile. Instead, I snarl; or I skip eating tomatoes for a week. Our supermarkets hereabout own shiny linoleum floors, long lines at the insufficient number of cash registers, and waxy apples. Their tomatoes resemble tomatoes, in that they’re red on their skins; but inside each one a beggar discovers tasteless, pink and seedy fruit. So all in all, what with the fog, the snobs who inhabit farmers markets, my nonexistent garden, my joy with sitting her typing “ly” adverbs in spite of silly experts, the fact that my boots tend to slip and slide on shiny floors (Did I mention my boots? Maybe in the next WEATHER REPORT) and my coincidental journey with Christopher Hitchens, I stayed inside today and read. Tonight I’ll watch a movie. Maybe tomorrow I’ll write a review and call it a film. Maybe not. Well, the sun sets as I end this report, and I’m too tired and fatalistic to acknowledge the fact that Galileo was right to insinuate that I, a fellow and brilliant Italian of Tuscan blood, should find a more accurate way to describe what we furry creatures choose as a marker of time. As well, fatigue causes to curdle inside my veins an intense disregard for editing this — and maybe even any other – WEATHER REPORT. So if you comment, as so few do these days, then please don’t mention my misspellings, over abundance of commas, or missing parenthetical marks. You are welcome, however, to praise me for my employment of “ly” adverbs, for my morbid sense of humor and for my godless arrogance. So now I’m off to slide a tasty meal into my microwave oven (yes, I know, they all taste the same, but so too tastes the food you’re served while flying in a commercial jet). As the oven bleeps, I’ll be standing nearby, staring out my dirty window at the fog that soon will seep its way into my grave to find the dust that I became. Oh, and a movie, or maybe a film.